We all want to grow up really fast; we can’t wait to finish high school with more than a little bit of excitement about getting into the university. Interviewer: what would you like to become ? Me: I’d like to become a lawyer. Interviewer: where would you like to study? Here I am , Immediately after high school, same year I finished, in the university studying a course I never thought I had a passion for . God’s doing? Or going with the flow of I have to start university immediately I leave high school? I say its God’s doing! The name of the course you asked? Communication and Media Studies (Mass Communication). What University? Ajayi Crowther University Oyo State. When I got into a different university from my preferred university and studied a different course I realized that God has a way of stirring us towards what he knows is right for us. I successfully completed my programme within 4 years (God knows how long it would have taken in Unilag). In the hope that after these years there would be light at the end of the tunnel. Yes! there was light a lot more than I expected there to be. I immediately, went to pursue my master’s degree in Media and Communications Management at Middlesex University in London, United Kingdom. In one year I had not only become a master’s degree holder at the age of twenty (20) but I also had a Diploma in Public Relations from London School of Public Relations ; I beat a record I had never even set for myself! Here, I advice that we learn to set our goals for future purposes. After a year of masters degree programme I returned to Nigeria for my National Youth Service Corp (NYSC) . Remobilization was keen and I had been remobilized severally when I went for my master’s programme, but this one time that I needed to be remobilized it was unsuccessful. Four months down the line and I finally started my NYSC programme. Spent 3 weeks in orientation camp; it was dreadful as I felt like I was in the military for a minute and imagine all that Jand freshness , all gone, lol. Camp was finally over and I got my posting letter which was addressed to Wazobia Fm Abuja. Not excited about this at all because pidgin english is a language we are taught against at home and in school. My real job hunting experience had only just begun. On my arrival at my supposed Place of Primary Assignment (PPA), I had to wait two and a half hours to see the main boss who then selects those that can work at the organization. The receptionist was so rude and hostile; her look towards me and the other corper was as though we probably didn’t deserve to have our graduate certificates (as if, after four years of educational struggle she wished the certificate was never going to pay off). She asked me to read an English newspaper, Vanguard precisely, select an article, not only write it in pidgin but do a voice over in pidgin English. In shock, I exclaimed immediately that I did not know how to speak pidgin let alone write in pidgin. I said if this was the criteria for selection I beg to be rejected. After a month I got rejected for a very flimsy reason. Yes! My mum and I were there for a purpose and my mum disagreed with their criteria too. Speaking to the Head of station was no use it was just filled with emptiness. Eventually, I started looking for a place to work; I got another radio station but I was not too keen to have experience there. I went to Channels Tv , NTA, Multichoice , several PR organizations but I still realized that I had to know somebody “Man must know Man Syndrome” is what I call it. Finally, I got an opportunity in a military organization. Was it a “Man must know Man” situation? Keep Pondering; but your guess is as good as mine. The truth is the Nigerian system of employment is as corrupt as our leaders. Accepting the way things work around here is not voluntary but it’s something you would get used to. It was tough trying to get a PPA , but after 3 months since orientation camp ended here I am almost done with my NYSC in one month and a few weeks. Being excited that the programme will soon end is an understatement for me. Was it worthwhile you asked?Financially, Yes! •Patience; I learnt to be patient that the global market there are all kinds of people from different backgrounds, some happy to meet you others start to worry that you might be a threat to their positions. •Saving; I learnt that I needed to save money a little bit better than I usually did. •I also realized how hard it is to wake up in the morning and go to work because I loved my bed so much. After my NYSC I know I will face job hunting on another level, when everything happens I would share my experience with you all again. The truth is finding a job is not as easy or hard for everyone but I want us to find the inner passion we have, or allow God to stir you towards the right direction to finding your passion and every other thing will work together for your good. Itoro Essien is an aspiring media personality. She can be reached on twitter and IG via @itorohottie. 5. Keep it professional: Your boss is more than likely not your friend. So always be friendly but maintain a professional distance. No need telling your boss of how you couldn’t manage to pay your rent or how your boyfriend broke your heart. These things usually backfire on you and can cost you your job. But be friendly with those below you too because they matter too. 6. Be friendly and have integrity:- when my boss thought I stole from him, it was the sales boy who spoke out in my absence and explained for me. This same sales boy had been accused the previous month of stealing but I vouched for all the times he had been with me. Can you see the story take another turn if I looked down on the boy? Be respectful of everyone. 7. Always discuss terms:-I mean the terms of your employment and alwaysread through any document to which you append your signature. This is crucial. Some employers want to take advantage of you. When I wanted to quit one of my jobs, my contract said I had to give one month’s notice or forfeit a month’s salary. I wasn’t comfortable with this but I signed. When I decided to quit, I gave notice to my superior who told me to think about it but did not notify human resources. After I felt I had given enough time to pretend to think about it(don’t judge me, the working conditions were appalling) I told her I still wanted to leave. Then she asked me to notify the human resources department. This was a week to the end of the month and if I had done that, they would have insisted I work for one month and I wouldn’t have been paid for the 3 weeks extra I spent. So I kept shut and waited till the end of month, got paid and then spent 2 weeks for which I did not get paid which basically in essence was giving a months’ notice. So discuss all sick leaves and days off and if you happen to come into work on your day off because your boss needs to attend a wedding, always keep track of the evidence and collect. I have a lot more employment stories to share which are in turns hilarious and informative but I guess this will do for now. Feel free to leave comments. Jennifer is a medical professional. You may reach her via @djenyva on Twitter. Did you enjoy reading Jennifer’s tips? You can send yours! Find out details here. Be confident and know your worth: No matter that in this generation, the society goes on and on about the depreciating value of the graduates being cooked up in Nigerian universities, you are of worth. What’s worse than observing the declining value of the education system; being in that said education system. You have suffered through it and prevailed and if you passed on your own merit (whichcan’t be said for a lot of us), you do have something to offer an employer. Do not let anyone look down on you. Do not rely on just your degree: Never get too comfortable in your knowledge. Strive for more always and if you feel you education has been lacking in any way, pick up the slack. There are numerous courses out there that help you better yourself. Don’t know anything about Microsoft Excel? Pick up a book, use the internet or take a course from a good computer institute. Also always try to broaden your scope. Are you a Biochemist? You could do with a course in project management or supply logistics. A geologist? Safety courses would not be bad. Get experience: Experience can never be bought and it is oh so important. 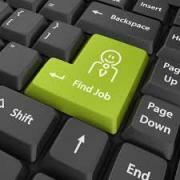 Do not be afraid to do an unpaid job or a volunteer job just to be busy and get some experience. Yes some employers are out there to use you but you could always use them too. In all things, get experience. This is the difference between you and a degree holder. Learn from your mistakes: Try not to repeat the same mistakes. While working a holiday job, I made the mistake of giving a customer change from my own pocket and balancing the books for my boss. This led to my boss thinking I stole from him when said customer came to return my money. Never again. This leads to my next point. The Ramat Institute, the research arm of the Murtala Muhammed Foundation, is seeking researchers for a security montoring project which involves data mining and collection on social issues in Nigeria. They are starting off with work on security events in the North East. Aspects of it include the production of a security report as well as consistent desk monitoring and reporting of data on the security situation (among other things). The information is to be provided to the public and also to be used to support humanitarian interventions by relief organisations. Researchers are also required to gather information on topical current affairs issues for dissemination to the public via their website and for use in infographics. Qualifications – Interest in Political/Current Affairs. Ability to write and use the internet and social media is essential. 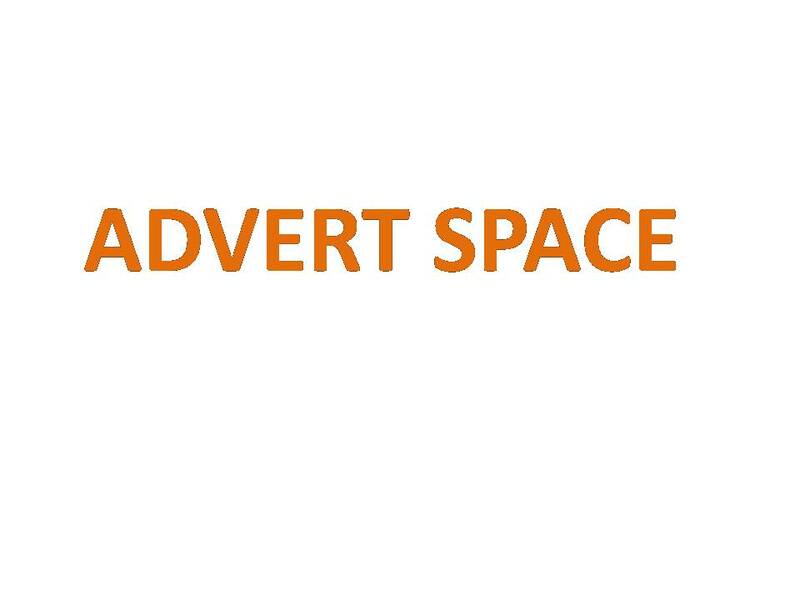 Remuneration – A negotiable, monthly stipend is available. The Ramat institute was established to improve the generation and dissemination of data, research and information about government and its management of the public sector and the use of this information to influence policy formulation. The Ramat Institute implements its mission through systematic research; data collection, mining and collation; consistent dissemination and the conduct of public opinion research. Programme areas include: Social Cohesion, Security and Justice, Economic Access and Inclusive Government. The Ramat Institute is intended to be a thorough and rigorous research institution well-rooted in the country context and a nuanced understanding of the socio-political issues. Step 1: Register at http://volunteers.volunteerinnigeria.org if you have not done so. In this first blog in our #JJCseries, I present life-changing statements the way you never heard them before. So what are those things I believe you probably were not told till now? This has always been a proud and most insulting response to give somebody who needed to know something. Somehow, when we started adopting the tradition of telling people to ask questions, we did not really bring ourselves to the understanding that no one person can be an encyclopaedia of knowledge. ‘Finding out’ means searching out information accurately. It is getting curious, asking questions and then exploring different sources till you meet the bliss of accurate information. Somebody came to Lagos for the first time and needed some direction to where I was. It took terribly long before we finally met. When I tried to get the details of her ordeal, she became a little upset with me. I could not understand why she would depend entirely on the direction given by one person. Is this only applicable to the location challenge? No, unfortunately. It is exactly the same orientation people apply to everyday life but we can explain with the finding-a-location dilemma. If you have to go to a place you don’t know, then you need to FIND OUT how to. How? Search the internet for the address and in the search results; look for landmarks (like a popular hangout in the area) or a forum discussion. Search for tools that are good for location guidance. You would probably find Google Maps. Use the map to locate the area. Ask different people till you find at least three people pointing you toward the same route. We have a major problem on our hands when people only think of this word as a noun and not a verb. This wasn’t really an issue until we were aroused to it. Let me tell you how. 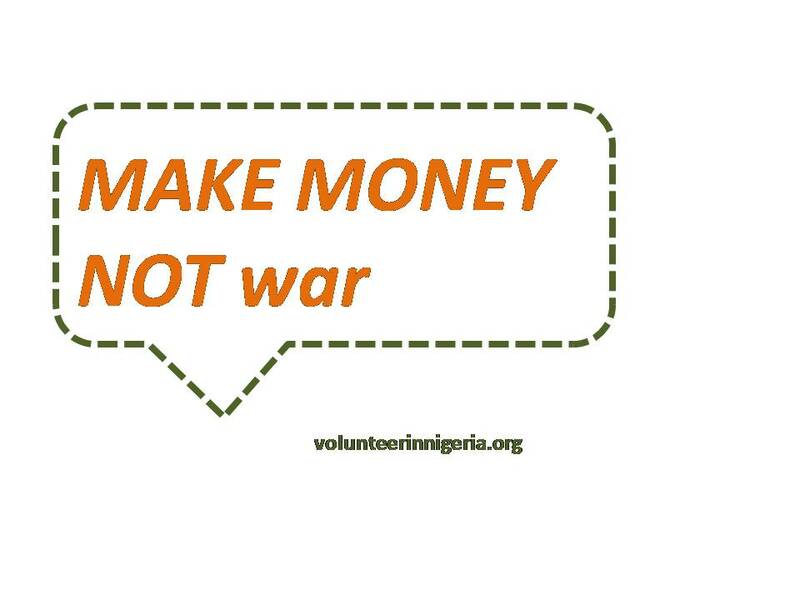 At least 80% 90% of the people who contact us think we are Volunteers in Nigeria not Volunteer in Nigeria. 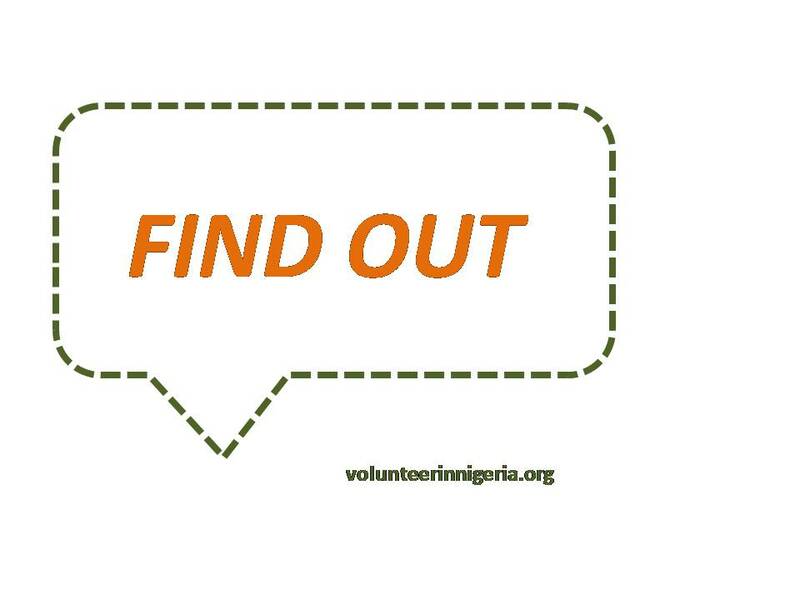 We put up ‘Volunteer in Nigeria’ on all our profiles but for some reason not far-fetched from our noun-verb explanation, they probably think it is an error. So we can bet that many people, if they get to think about it at all, think of ‘volunteer’ as a person who cannot make a wage not really as a superb channelling of effort. 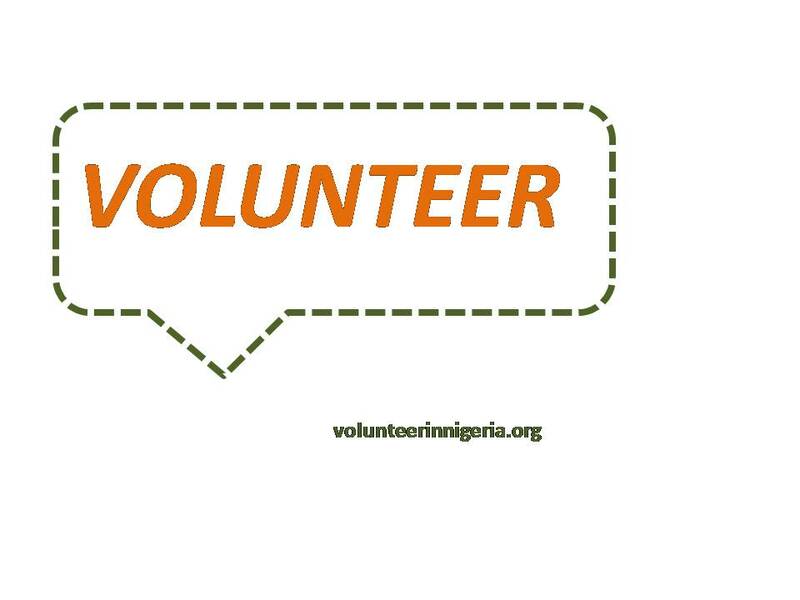 Volunteer in Nigeria was founded to introduce youths to contribution-oriented living (via exposure to volunteering and development work) and then ensure that those who buy the idea get the very best engagement opportunities. What’s the point here? There is probably a dangerously selfish thinking behind getting quality education/a job/a life. By the time we are in secondary school and can afford to push further or not, we are wired to think about bagging a good job and helping our families stay above the poverty line afterwards. This may be good thinking but it may also be somewhat short-sighted. Away from your family and small circle of friends are 6 billion people who your career may be beneficial to. Learn the theories and take home the practical. Have you ever wanted to solve a pressing problem and a free search on the freely available internet helped you find a free course or a how-to blog/video or app or website? Me too! Guess what? People like you put those things there. How can you CONTRIBUTE to making the world a better place for others? 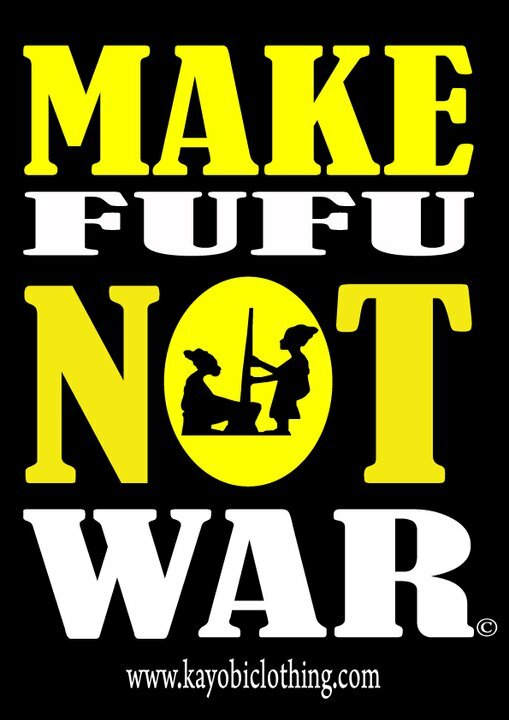 Shout out to Kayobi clothing, the maker of the fine ‘Make Fufu not War’ shirts. What’s the take home here? Very early in life we learn that peace must be disrupted once in a while. We spend good time recalling and recounting the faults of other people. However, to make smart use of time, our most valuable resource; we must put these things away as quickly as possible. If you have been in the world for some time, you would have found that virtually all the issues that take a huge bite of our time can be solved when we have the right attitude and err…enough money. Yes-money! We worry very much about how to find the better job/deal but do not think often about how to increase our money via legitimate and intelligent investing. To grow your money, there are indeed very many options. You need to FIND OUT. What are your thoughts? Tell us those things you wish you were told much earlier in life via comments! To submit a blog post, kindly find out details here.